If It's Hip, It's Here (Archives): Hi-Tech Goes Old School. IMPOSSIBLE Turns iPhone Images Into Instant Polaroids! Hi-Tech Goes Old School. 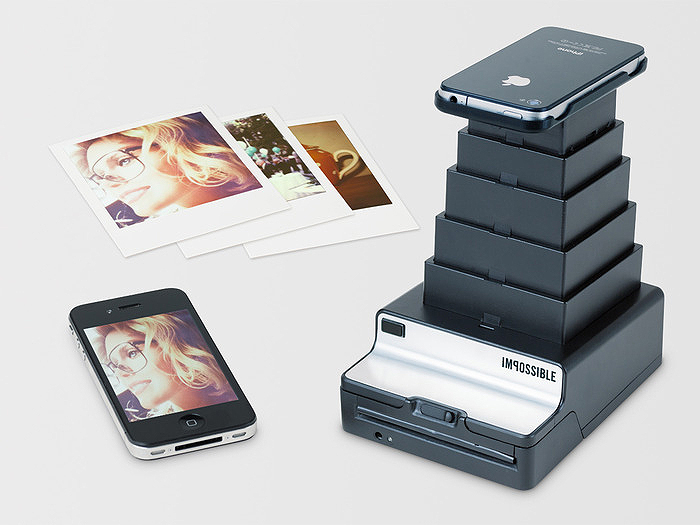 IMPOSSIBLE Turns iPhone Images Into Instant Polaroids! On their journey toward inventing a new analog instant camera, Impossible, who took over the last remaining Polaroid film factory in the Netherlands in 2008, has created the incredible Instant Lab. 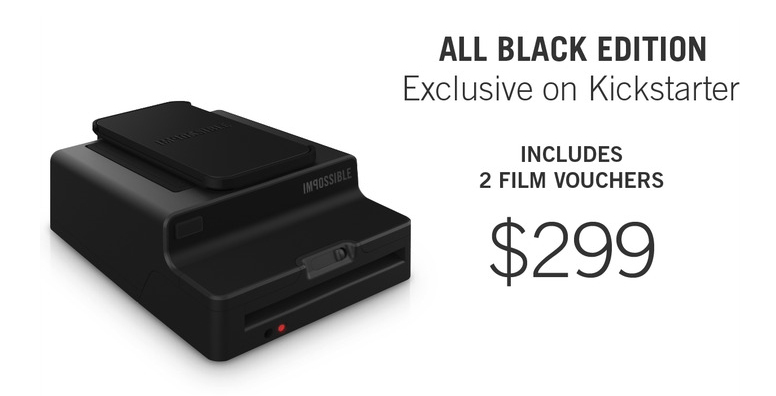 This revolutionary device is based on the new Impossible FPU and bridges the worlds of digital and analog photography, turning pixelated iPhone images into unique and real analog instant photos on Impossible film. The Impossible Instant Lab is designed to transform any digital image via your iPhone into an instant photo that is exposed using only the light from the display, then processed and developed by chemicals. A photo that exists physically – in real life. A photo that is a one-of-a-kind original that can be shared, exhibited and preserved. A photo that no longer needs an electronic device to be seen. Determined to reinvent instant integral film for vintage Polaroid SX-70, 600 and Spectra cameras, the Impossible Project continues to come up with new ideas and products for a new generation of analog instant film lovers. New York, USA, 10 September 2012. – After 18 months of intense research and development, Impossible today introduces a groundbreaking module for analog instant photography: A high precision platform named “Impossible FPU” (Film Processing Unit), that processes and develops Impossible instant film. This highly advanced device is the basis for a range of new analog instant cameras and hardware concepts to be introduced in 2013.
above: The first prototype, handmade in the Enschede factory from salvaged parts by Henny Wanders and the first test shoots. When Polaroid discontinued camera production in 2007, all know-how, machinery and components linked to analog instant camera production were being disrupted. With Impossible being dedicated to today’s creative market of analog instant photography by re-inventing new instant film materials, the development of a new analog instant hardware was the next major ambition. Impossible reinvented the FPU from scratch, based on today’s available components and materials and new expectations and demands. The Impossible FPU will serve as the high-precision heart and modular platform of new analog instant photography instruments. All 48 components have been newly developed, including a new gear system, and unlike classic Polaroid hardware the FPU features a modern and ecological rechargeable battery. This allows the use of new, dedicated Impossible film packs that will no longer contain a disposable battery. 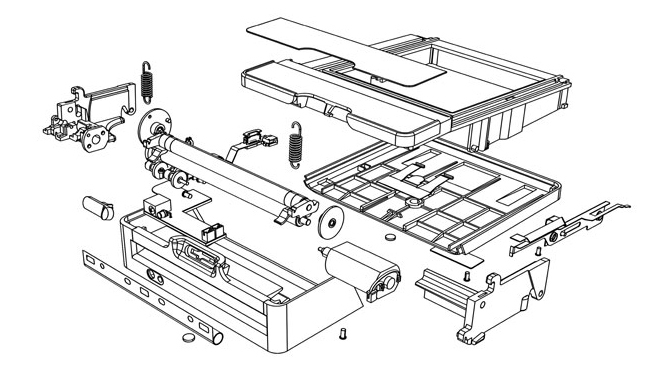 The Impossible FPU was developed by the Impossible R&D team in partnership with DHW of the former Rollei Factory in Braunschweig, Germany. First concept studies based on the new FPU will be introduced at Photokina 2012. 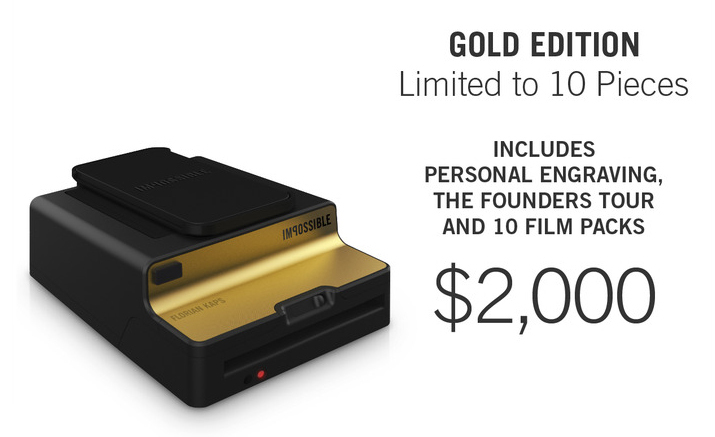 The first hardware concept based on the FPU is the IMPOSSIBLE INSTANT LAB, presented in a Kickstarter campaign launching today. This innovative tool turns digital iPhone images into real analog instant photos on Impossible film, using an accompanying Impossible iPhone app. “The Instant Lab is the Impossible answer to a question that we have been posing for a long time: Is there a convenient but truly analog way to transfer our everyday’s iPhone images into these unique, real and magic photographs we love so much? The experience of now finally merging the digital with the analog world of photography using this Impossible machine exceeds our wildest expectations." 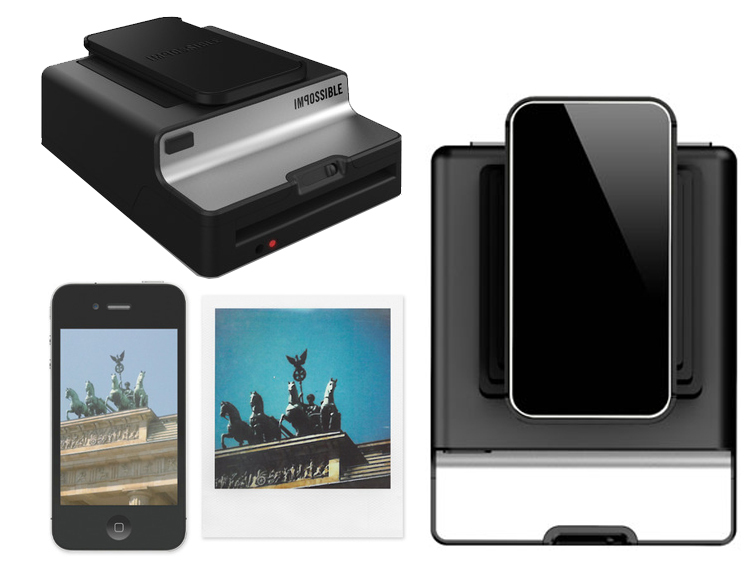 The Instant Lab will see its first life appearance at TechCrunch Disrupt SF 2012. Today they are launching a Kickstarter campaign running until October 8 and looking to raise a minimum of $250,000 USD - the necessary funds to turn their working prototype into a final product. 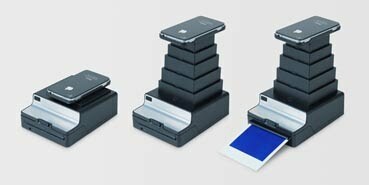 If successful it is planned to introduce the Instant Lab in February 2013. They have carefully planned a timeline for the mass-production and delivery of the devices approximately 22–24 weeks after Kickstarter funding, starting mid-February 2013. Orders are processed in the order received. Kickstarter is the only place they will offer the following for pre-sale. With your support they can make the Impossible possible.